Disney is famous for their fireworks. You see a fireworks show at home on the Fourth of July and think, "Meh," because you're used to greatness. I wasn't sure anything could top the fireworks show from Disneyland's 50th Anniversary because it's near perfection. Beautiful, bright, and about Disneyland itself. 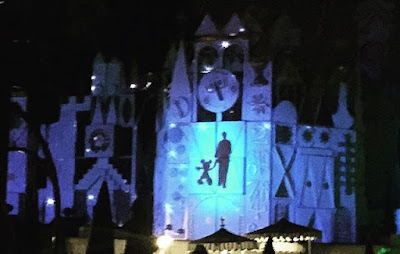 This is the only negative thing I'll say about Disneyland Forever - it could have had more Disneyland in it. But they can't duplicate the last anniversary fireworks spectacular, so I'll move past that point. The projections are the newest technological additions to Disney's fireworks, and they're pretty amazing. I saw them from both Main Street and Small World and you really get two different feels. From Main Street, its incredibly immersive. The images of colors, shapes, and familiar characters are literally all around you. Its pretty amazing to see, but its also a bit overwhelming. If you get overstimulated, I'd suggest Small World where all projections are on the face of the ride itself and you can either focus on it or turn your attention to the sky instead. Either way, you'll see the beautifully designed art that perfectly accompanies the show. The show has lots of classic songs from the most popular Disney movies. There are segments from Peter Pan, Winnie the Pooh, Mary Poppins, the Little Mermaid (watch for bubbles falling from the sky and underwater plant life on the Main Street roofs), and of course Frozen. I always hear people complain that Frozen has been over-played or just plain isn't as good as everyone says. So you can imagine my surprise (and extreme delight, because I am NOT one of those people who is tired of Frozen) when Let It Go began and the entirety of the Main Street crowd started singing along! It was pretty wonderful. I saved the best for last...the tribute to Walt Disney himself! The show starts with a large photo of Walt projected up for everyone to see while audio of him talking about Disneyland is played. The show circles back to him at the end with a really heartwarming animation of Walt and Mickey's shadows holding hands and walking together. I MAY have cried during that part, but I'll never tell. Ok, I'll tell. I totally cried! It was like the Partners statue had come to life!!! 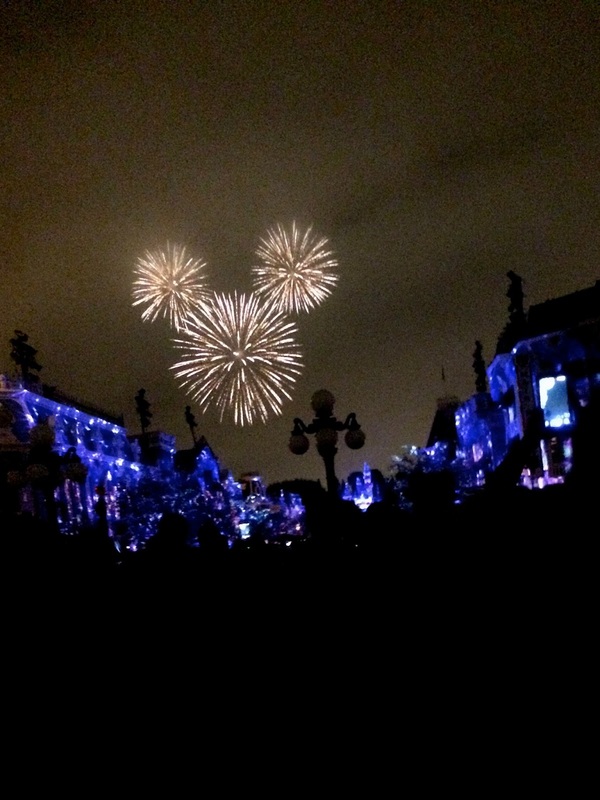 Have you seen Disneyland Forever? Did you love it? Or did you really love it?? Really love it! I think the best part is the use of the Matterhorn, like when it turns into a smoking volcano!